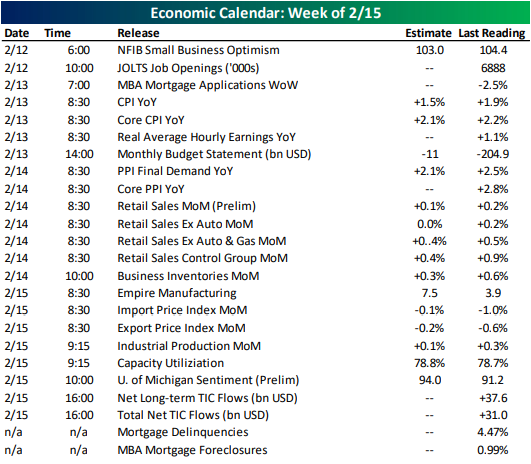 While it was a slow week for economic data last week, the releases we did get were negative for the most part. As shown below, 9 of 15 indicators released were weaker than expected (or down in the case of indicators without estimates) while just 3 were stronger. This week will be slightly busier with 24 releases. While there will be nothing released today, small business optimism kicks off the week tomorrow alongside the JOLTS report. CPI will come out on Wednesday along with the Monthly Budget Statement for December. Thursday will see the release of December Retail Sales and PPI data. Empire Manufacturing and Industrial Production will cap off the week on Friday. As we have highlighted in previous weeks, one of the areas that the government shutdown threw a wrench in things is in economic data. 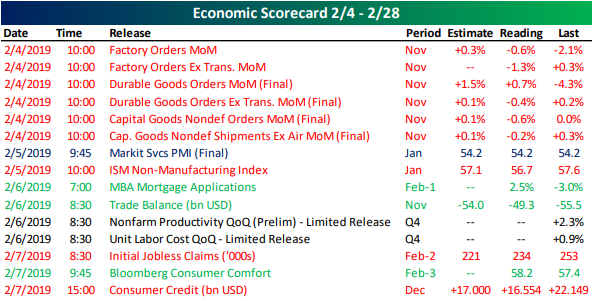 With postponed data for November and December beginning to roll in, the schedule of some indicators has shifted around to accommodate the late releases. 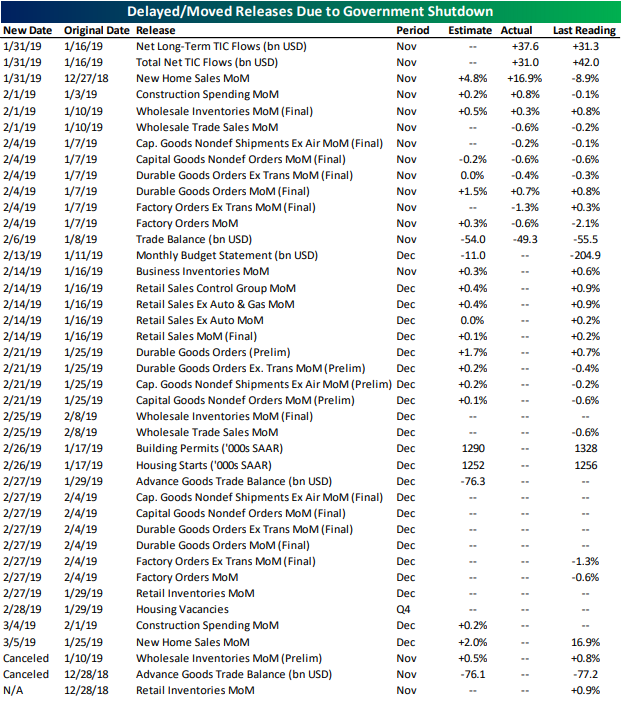 Below is a list of indicators with their new release dates after having been changed to accommodate the shutdown. Except for Business Inventories, all of the November releases are now in. Some Preliminary readings have been canceled, though the final releases are out.